South Lyon | Partners Real Estate Professionals, P.C. A quick view of the most influential metrics in South Lyon. South Lyon is a semi-small city in the southwestern portion of Oakland, Michigan. It has about five neighborhoods and is the 101st largest city in the state. It is part of the Metropolitan Detroit area and a primary city of the South Lyon-Howell-Brighton Urban Area. It is known for its good schools, low crime rates and high rates of home-ownership which combine to make it a stable, welcoming and family friendly community. It is a well-educated community approximately 37% of adults over 25 hold four-year degrees or more. Residents come from a variety of ethnic and racial backgrounds making it a somewhat diverse community with a global atmosphere, despite its size. Common ancestries among residents include English, Irish, Asian, Polish and more. English remains the most common language in the community though several residents also speak Spanish. It is predominantly a white-collar community with both the job market and workforce being primarily white-collar. The community was founded in 1832 with the name Thompson's Corner. In the same year the township included Thompson's Corner was named Lyon after Lucius Lyon, a member of the state legislature. Therefore, the community's name was later changed to South Lyon to reflect the name of the township and where the community was located within the township. Throughout the later 1800s three rail lines were established and operated lines through the community, the Detroit Lansing and Northern rail line, a forerunner of the Ann Arbor Railroad and the Jackson Branch of the Grand Trunks rail line. Today the CSX main rail line from Detroit to Grand Rapids continues to run through South Lyon. The community has been home to several musicians over the years, including Anita Cochran, Barbara Lewis, Mitch Rider, Danny Spanos and Tracey Lynne. South Lyon spans about 3.75 square miles and is a fairly wealthy community when compared to state and nation economic standards. In 2010, the population was 11,327, the population density was 3,036.7 people per square mile and the per capita income was $32,156. By 2013, the estimated median household income was $56,241 and the estimated per capita income was $31,195. In the same year the estimated median house or condo value was $152,910 and the median gross rent was $783. Public education is provided by the South Lyon Community School District. Schools in the district include Millennium Middle School, South Lyon High School, Salem Elementary, Kent Lake Elementary and others. It is a thriving community nestled in an area whose opportunities and far outnumber any possible drawbacks. There is so much to do and see in South Lyon, including attractions like the Witches Hat Depot Museum and Historic Village, Huron Valley Rail System, an old railroad line that has been converted to public trails. 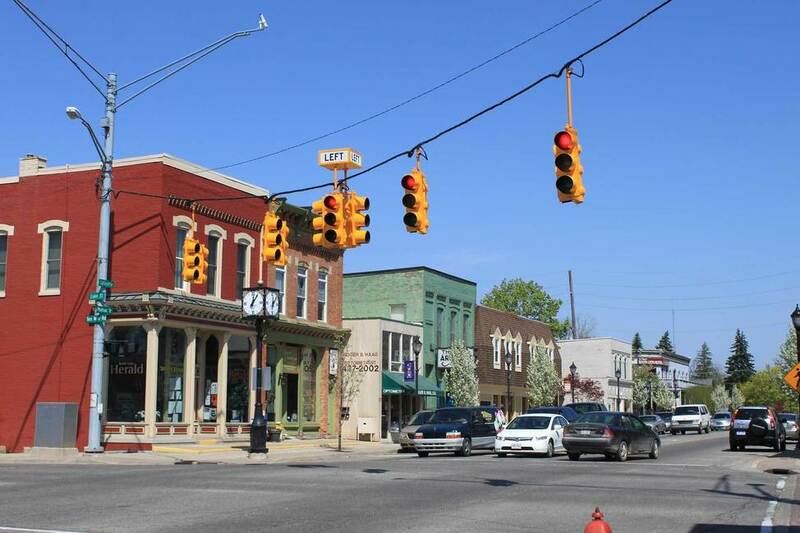 Downtown South Lyon is twelve walkable blocks of more than 100 shops and businesses. Local parks include McHattie Park, Volunteer Park and others . The city hosts annual events like Pumpkinfest, featuring rides, carnival foods, pumpkin carving, 5k run and more. homes for sale are primarily single family traditional dwellings that come in a variety of sizes and styles. Other real estate options include rental and lease properties such as townhomes, apartments and condominiums. To find the home of your dreams in South Lyon, call local real estate agent (insert name here) at (number here) today. View our selection of available properties in the South Lyon area. Check out the latest demographic information available for South Lyon. Browse through the top rated businesses in the most popular categories South Lyon has to offer.